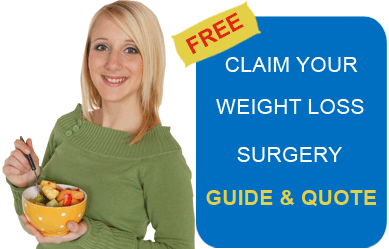 North Americans do not need to travel too far anymore to get affordable weight loss surgery. Many procedures like gastric bypass, gastric band, and gastric sleeve surgery in Las Vegas are now available for low prices. This is indeed a great news for those who are not very comfortable in going out of the country to get bariatric surgery; they can now get quality procedures for very competitive prices right on American soil. Apart from Gastric sleeve , gastric bypass surgery in Las Vegas is another good option for people coming for weight loss surgery. Also called sleeve gastrectomy, it is a procedure where a majority of the stomach’s structure is cut to decrease its size – resulting to a “sleeve” like structure. This way, the area of the stomach is greatly reduced, leading to weight loss. According to a surgeon who performs sleeve gastrectomy in Las Vegas, it is a nice procedure that combines the benefits of gastric bypass surgery and lap band surgeries, as it restricts food consumption, and also helps decrease production of the hormone Ghrelin. According to ScienceDaily.com, Ghrelin, a hormone produced in the stomach, is responsible for telling the brain that the body needs to be fed. For more clarification, you can listen to a vegas surgeon explaining steps in sleeve gastrectomy. Usually, gastric sleeve surgery is for people with a BMI of 35 or more. Patients with below 35 BMI may also be considered, depending on existing health issues that obesity is causing, and if sleeve gastrectomy will be able to help turn these health issues around. You want greater results when it comes to weight loss. You want quicker weight loss. You are not comfortable with foreign bodies (band and port) imbedded in your body. Lap Band is mostly considered the safest weight loss surgery because no structures are removed from the body; however, gastric sleeve, as the Las Vegas bariatric surgeon has said, offers both food restriction and hormonal changes – thus deemed more effective for weight loss over time. The most important thing is to weigh your options carefully when comparing gastric band and sleeve gastrectomy, and always talk freely with the surgeon about concerns and questions in order to formulate the best plan for surgery. You can listen to vegas surgeon’s view on sleeve gastrectomy vs lap band surgery for more clarification. Most people don’t have to be told how Las Vegas is as a tourism destination. Casinos galore, hotels as big as towns, streets and avenues filled with sparkling lights that seemingly never fail to amaze even its locals. Patients choosing to get gastric sleeve surgery in Las Vegas will never run out of choices when it comes to entertainment, and are recommended to schedule a trip that will accommodate both their weight loss surgery and check up appointments, plus extra sight-seeing trips to the many wonders of Las Vegas.